Dermal Fillers in Worcester. Book your free consultation. Dermal Fillers in Worcester to Treat Deep Lines, Wrinkles, Volume Loss, Jawline Slimming, Lifting. Hyaluronic acid (HA) dermal fillers like Restylane®, Emervel® and Belotero® are now seen as one of the most common treatments in correcting wrinkles, folds and loss of facial volume associated with skin ageing and external factors such as sun exposure and diet. That irresistible plumpness, vibrancy and abundance melts away over the many years of our lives. As we age, we look more mature … and as we age even more, we lose so much volume of facial muscle, fat, collagen, tissue and bone that the overlying skin sags and wrinkles. Dermal fillers restore some of that beautiful look of bursting vibrancy to even the most mature face. At Cosmetic Injectables, we use dermal fillers to skilfully design the exact look that you want. They can often be used in conjunction with other treatments, such as anti-wrinkle injections. Find out more below, and at your initial consultation! 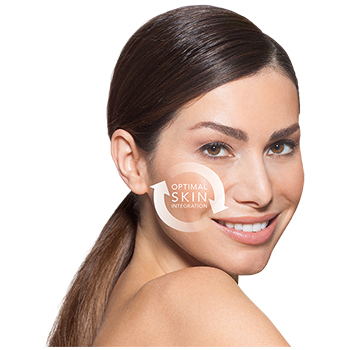 Belotero® is a unique HA dermal filler that is specially designed to integrate into your facial tissues to provide subtle and even results without disrupting the natural contours of your face, so you can be confident that no one will ever know how you manage to look so refreshed and confident. The Belotero® secret can be your secret too. You will come for a free consultation to discuss the best course of treatment for you. Once this is decided, the area to be treated is disinfected and local anesthetic cream applied. After 15 minutes the treatment can commence. A treatment does not take long, depending on the area and indication, it takes approximately 30 – 60 minutes. All patients are reviewed after 2 weeks to assess the effect and discuss further treatment to optimise the results. Dermal Fillers can be slightly uncomfortable depending on the depth on injection needed. However during the preparation of your skin an anesthetic cream will be applied to the area to aid your comfort, plus all the Dermal Fillers we use have local anesthetic mixed in with them too to further minimize any discomfort. All fillers used are non-permanent fillers, and the effect gradually diminishes with time as the gel is degraded. In order to maintain the aesthetic result, top-up treatments are recommended. In the case of wrinkle treatments, these are generally performed after 12 months and for lip treatments within 6 – 9 months. Emervel® is a range of soft dermal fillers that smooth away facial lines, restore volume or enhance your smile with a lip treatment. The Emervel® range is designed to complement the varying stages of facial ageing to provide natural-looking results. Dermal fillers can be used to smooth away facial lines and wrinkles, create fuller lips and shape facial contours, such as cheeks and chin, and revitalise the skin. The most common treatment is re-volumisation thus improving the nose to mouth lines and sagging jaw. The most commonly treated areas are: Nose to mouth lines (the nasolabial folds) and adding volume and shape to lips. Following your treatment you can expect some local swelling and maybe bruising, a cold compress may help ease this, and arnica cream may be recommended to encourage the bruise to come out. It is often asked that you avoid any vigorous exercise or sun exposure for 24-48hrs. All post treatment instructions are given on the day. Like all medicines, Botox® can cause side effects, although not everybody gets them. Any reactions are generally minimal, temporary, and typically relate to the injection itself. Elizabeth will cover this in detail with you on the day and answer any questions you have.